MSNBC is undergoing a very public and extremely ungraceful makeover, cutting ties with Melissa Harris-Perry, who accused the network of sidelining her. 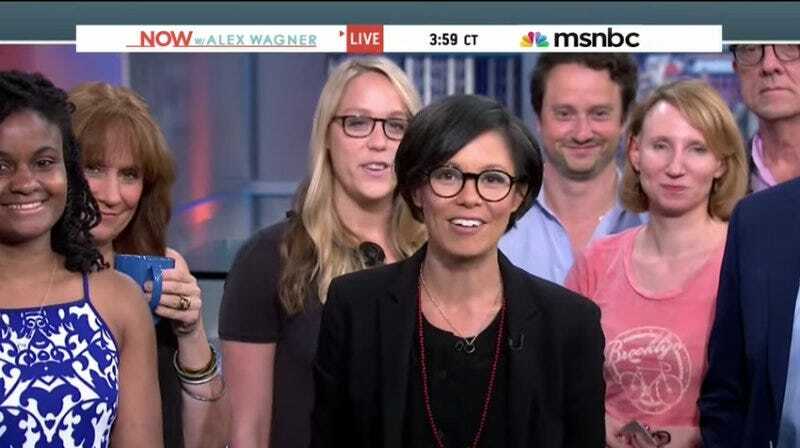 Now MSNBC is also canceling a planned weekend show for Alex Wagner, who is Burmese-American, and jiggling around the schedules of a number of other non-white hosts and contributors. Smart, guys. CNN Money reports that Wagner’s new planned show is not happening; it was announced back in October as part of essentially a switch with Steve Kornacki, which CNN called “part of MSNBC’s effort to shed its reputation as a liberal platform and rebrand as a nonpartisan news channel—at least in daytime.” Wagner’s previous show, Now With Alex Wagner, was cancelled over the summer in a series of scheduling changes. At the same time, Ted Cruz’s fired campaign spokesman Rick Tyler was hastily hired for a job as a “political contributor” the same week he got canned for lying about Marco Rubio. The interview, with anchor Joy Reid, ultimately aired later that night.